Happy New Year! I hope 2018 is being wonderful to you. With the new year, comes new beginnings and new resolutions for changes. One of my many resolutions is to attempt to try to stay on top of my social media. Like I needed another excuse to purchase another planner to help me stay on track. I guess you could say I’m making this “Adulting Thing” look easy. (Knocking on wood before I jinx it). As of day 5 of the year I’m doing okay. We will see how I’m doing in a month or so. 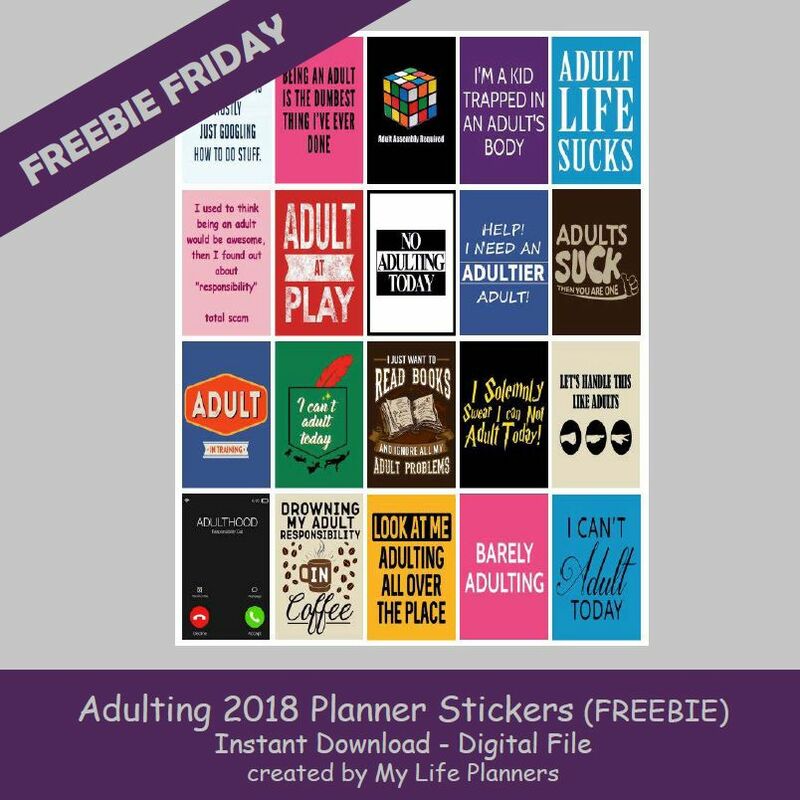 If you haven’t figured it out this week’s Freebie Friday is featuring Adulting Planner Quote stickers. Whether it’s a good or bad adulting day you will be able to mark it down in your planner with these stickers.